Mars is the commander of the planets, which is the owner of power, energy and self-confidence. Fire is the main element of Mars. It has red color. Copper is the metal of Mars. Barley is the grain of Mars. Aries and Scorpio is the sign of Mars. 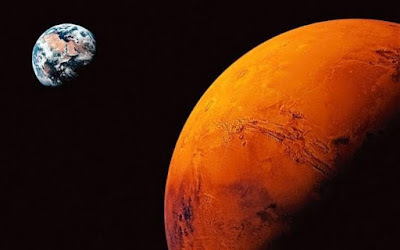 Mars is very strong in Capricorn sign and very weak in Cancer sign. A person’s nature would be cruel and violent when Mars is impaired. His self-confidence and courage decreases. A person faces problems in property and land. People face blood pressure problems when Mars is impaired. They face litigation problems. If weak Mars has relation with marriage part then person faces problem in marital life. A person would be adventurous and generous. He has good confidence. A person gets good success in courage and technical field. They are very rich. They have good amount of land-property. People have good social life. No one can defeat and hurt them. A person gets success after the age of 28 if his Mars is auspicious. You can keep fast on Tuesday. Do not intake salt on this day. Chant Hanuman Chalisa every morning-evening. You can chant Mars hymn in the afternoon. You should sleep on lower seating birth. Maintain good relations with siblings.